We loved the breakfast lady!! Shout out to her. She definitely helped in making our stay comfortable and pleasant. The barbeque area was very nice. The rooms were fine. Outskirts of town. Peaceful. Private. Beautiful surroundings. Staff was very polite and helpful. The property was well maintained , the staff went through the trouble of placing my boys stuffed animals atop the beds, really made their day. Morning staff was friendly and courteous going above and beyond. I don’t have a single complaint about this location, my boys never want to leave! Comfortable, easy access. Only wished we could have used kitchen more but relatives very close. Quiet location. Perfect for our needs. Great value. Lock in a great price for TownePlace Suites Denver Southwest/Littleton – rated 8.6 by recent guests! 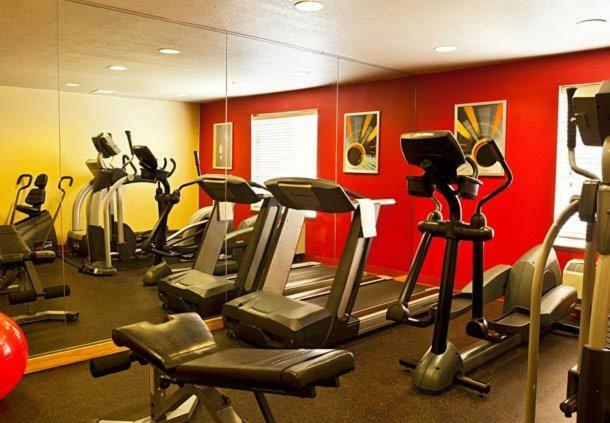 TownePlace Suites Denver Southwest/Littleton This rating is a reflection of how the property compares to the industry standard when it comes to price, facilities and services available. It's based on a self-evaluation by the property. Use this rating to help choose your stay! 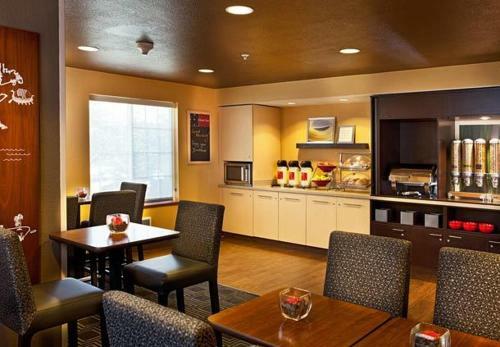 TownePlace Suites Southwest offers self-contained accommodation, nestled between lively Denver and the Rocky Mountains. It features an outdoor pool, a well-equipped gym and a fully-operational business centre. Rooms at the TownePlace Suites Denver Southwest Littleton include a bedroom and a kitchen, complete with dining area and a lounge fitted with cable TV channels. Guests can prepare their own meals and enjoy a hot buffet breakfast in the recently-renovated breakfast room. Many local eateries are located along Kipling Parkway, 1 miles away. Popular nearby landmarks include Highlands Ranch and Chatfield State Park, 13 miles away. 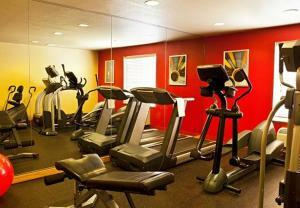 Central Denver is a 30-minute drive from the TownePlace Suites Southwest hotel. This property is also rated for the best value in Littleton! Guests are getting more for their money when compared to other properties in this city. When would you like to stay at TownePlace Suites Denver Southwest/Littleton? Featuring a fully equipped kitchen, this studio features a cable TV, a seating area and a dining area. Tea and coffee-making facilities are also provided. Featuring a fully equipped kitchen, this suite features a cable TV, a seating area and a dining area. Tea and coffee-making facilities are also provided. Newly Renovated TownePlace Suites is a residential-style, all-suite Marriott hotel offering the comforts of home for relocation. All suites offer full kitchens, dining area, living area with sofa, cable TV and free high speed internet. House Rules TownePlace Suites Denver Southwest/Littleton takes special requests – add in the next step! TownePlace Suites Denver Southwest&#47;Littleton accepts these cards and reserves the right to temporarily hold an amount prior to arrival. TownePlace Suites Denver Southwest/Littleton accepts these cards and reserves the right to temporarily hold an amount prior to arrival. There was a little discrepancy at check in. There breakfast options. Very few low carb options. Breakfast was not good but there were no other options within walking distance. The location was out in the middle of nowhere in a somewhat industrial area. We were double billed by the hotel and Booking.com. Need some meat/eggs for breakfast. An indoor pool would be nice. i wished the second bedroom could have had twin beds which would in my opinion be more flexible for families. Man in dining room kept bumping into us. Didn’t know he was employee at first. Believe it or not, he was too helpful. Housekeeping did not clean the room throughly. Did not replace washcloths. I had to ask. Did not clean the toliet When taking a shower the water pipes made a loud sound when using hot water. Breakfast was not replenished 2 days in a row during service hours. Front desk staff friendly. Beds comfortable. Pool was not clean. Wow. Filters were full of trash and shows lack of maintenance. Breakfast food is reduced (no scrambled eggs) for the weekends when many people are there and then the weekdays the breakfast ends at 9am. Eating space is too small ! The staff. The two bedroom worked for us. Bad breakfast, no eggs or meat They should say they don’t serve weekends...misleading.